The “I Can Do That” star talks about what’s keeping her busy this year in showbiz. 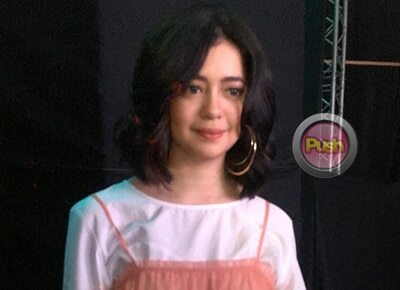 As the newly launched celebrity endorser of a clothing brand, Sue Ramirez admits she is claiming 2017 as another great year for her. Sue closed the recent Folded & Hung summer fashion launch at the Manila Fashion Festival held last March 24 . “I’m so blessed. I’m just so blessed to be part of the Folded & Hung family. I’m just feeling so thankful and blessed lang talaga. I feel that every year is my year. With all the blessings I received last year kahit the last year 2015 and 2014, all the years of my life i-ke-claim ko na year ko yun,” she told PUSH. Sue said she is happy to joining the ranks of other celebrity fashion endorsers of the local brand. “Gulat ako sobra. Their last endorsers were Lauren Reid and JC Santos and in the summer campaign they asked me to join. Of course, there was no doubt in my mind to accept. Hindi ako nagdalawang isip na tanggapin ito,” she admitted. The 20-year-old actress said her fashion principle has always been simple. “Ako kasi I just dress siyempre as comfortable as I can. Basta yung pinaka-comfy na kaya ko so yun lang din yung fashion advice ko siguro to the people, break the trends, just wear what you want to wear and what you’re comfortable with and just be yourself,” she added. Busy with different things this year, Sue said she is most excited about a new big screen project. “Meron akong something that I’m sobrang excited about pero hindi ko pa siya puwede sabihin. I think I’m going to have a movie with Regal films but we’re still not starting. Of course I have ‘I Can Do That’ which I’m very excited about and thank you so much kasi ang dami talagang sumoporta sa amin every weekend,” she stated. Sue also wants to get the chance to work with her friends in acting projects this year. Top of her mind is her “I Can Do That” co-star JC Santos. “This year hindi ko alam (laughs). Honestly, gusto ko maka-work si JC. Gusto ko rin maka-work si Ronnie (Alonte) sana soon maka-work kasi siyempre ang dami na rin kaming fans na naghihintay and actually kaming dalawa din hinihintay rin namin yung chance na maka-work kami together pero kung ibibigay thank you talaga,” she shared. Although she had previously met the Alonte family last year, Sue also explained what brought her back to Ronnie’s home in Laguna this year. “Sobrang bait nila sa akin grabe sila. Mabait talaga yung family ni Ronnie. Actually I went there kasi his lola passed away so I visited,” she revealed.